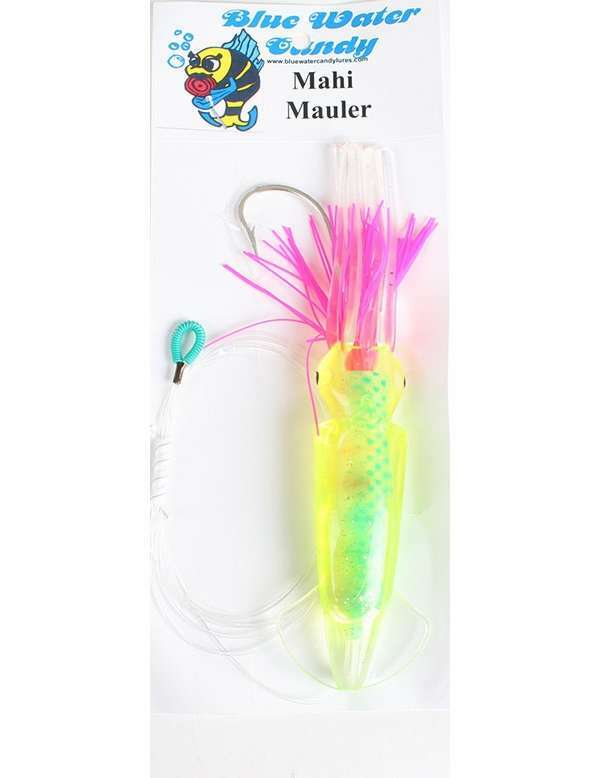 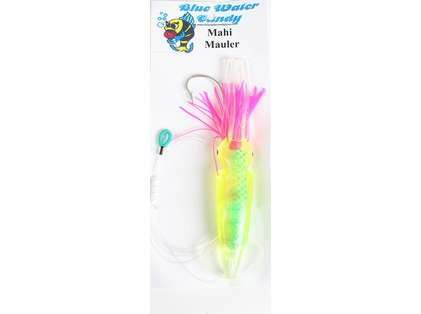 The Blue Water Candy Mahi Mauler Lure is rigged on mono with an 8/0 Mustad hook. 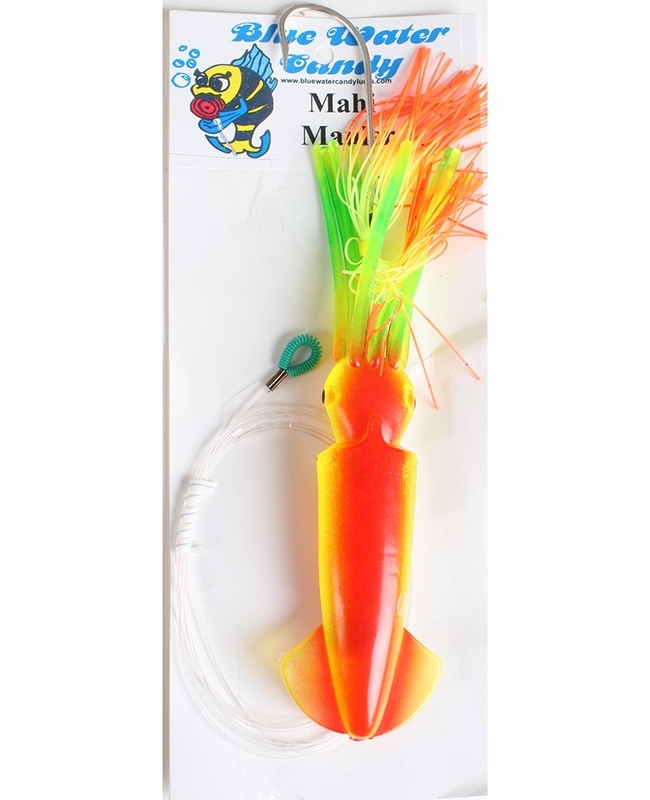 This amazing new lure can be used with or without bait. 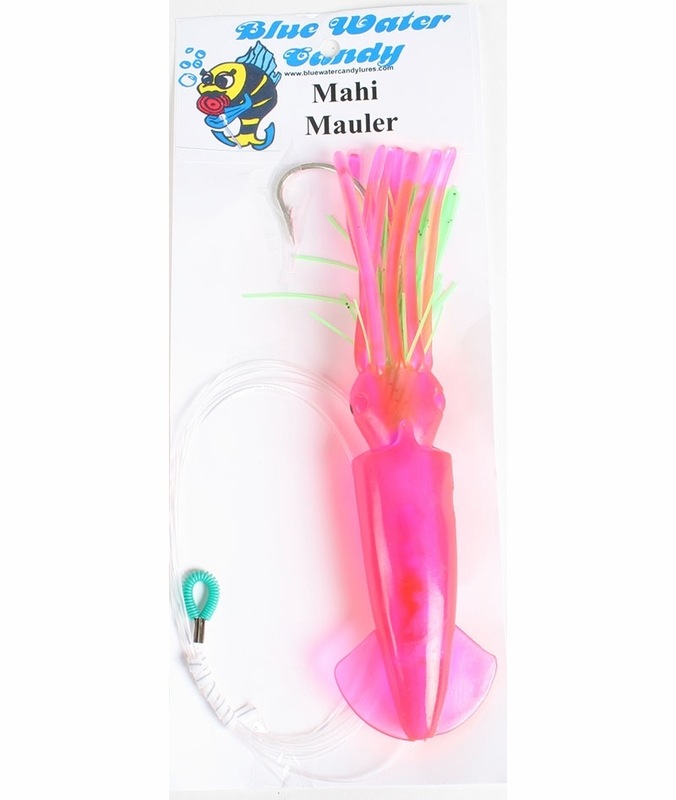 Troll it on light to medium tackle inshore, or heavier gear offshore. 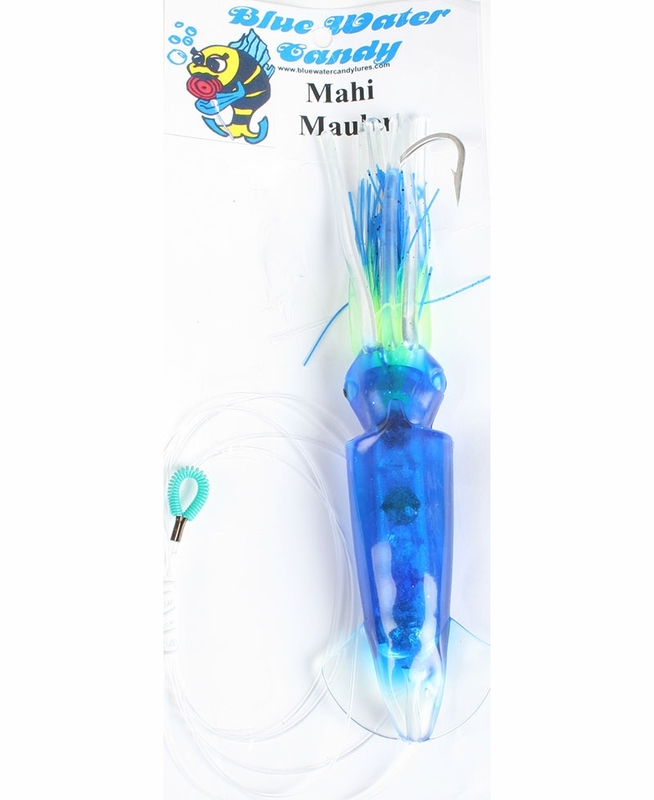 Perfect for Mahi, Blackfin, & Sailfish.